Rodney Elden Rasmussen was born on July 26, 1941 in New York Mills, Minnesota. His parents were the late Carley Vernon and Edna (Peterson) Rasmussen. Rodney graduated from the New York Mills High School with the class of 1959. On October 5, 1964, Rodney was united in marriage to Sally Susan Weniger at St. John The Baptist Catholic Church in Bluffton. Their marriage was blessed with 3 children. They made their home near Bluffton where Rodney farmed. He was also employed at the New York Mills Creamery where he drove bulk truck. After he retired from farming, he worked part-time at Mid State Auto Auction. Rodney enjoyed fishing, deer hunting, going for drives (especially the North Shore), going out for dinner, reading, visiting with family and friends and having coffee. On December 18, 2010 Sally passed away. On February 12, 2019, Rodney passed away at his home in New York Mills at 77 years of age. He will be dearly missed by family and friends. Preceding Rodney in death are his parents and his wife. 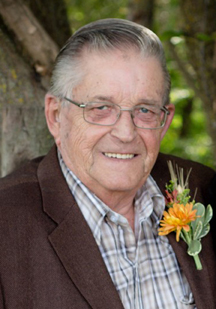 Rodney is survived by his daughters: Julie (Dean) Aanderud and Annette (Kevin) Haugrud; son: Allen (and friend Kelli Christensen); 9 grandchildren; great-grandson: Ryker; sister: Ruth (Karl) Rakow; brother-in-law: Bill (Regina) Weniger; many other relatives and a host of friends.